The Department of Science & Technology (DST) is implementing a national program Innovation in Science Pursuit for Inspired Research (INSPIRE) for attracting talented young students to study Science and pursue career in Research. This Program is being implemented since 2009-10. Assured Opportunity for Research Career (AORC) for young researchers which also has two sub-components (i) INSPIRE Fellowship and (ii) INSPIRE Faculty. to promote creative thinking and foster a culture of innovation among them. Under INSPIRE Award MANAK scheme, in a financial year, ten (10.0) lakh ideas are being targeted from more than five (05) lakh middle and high schools across the country, out of which one (1.0) lakh ideas are to be shortlisted for an initial award of Rs. 10000/- each, for preparation of project/model/showcasing of idea and participation in the District Level Exhibition & Project Competition (DLEPC). Under this scheme, all recognized schools in the country (whether run by Central Government or State Government or local body or NGOs), including private schools (aided or unaided), having classes from 6th to 10th (whether all or some), are eligible to enroll in the scheme and submit nominations of eligible children to DST through their respective District / State education authorities on-line/ off-line. Before filing nominations on-line, the concerned schools will have to do a one-time registration process and obtain a permanent registration no. (Application No.) from their respective district authority. 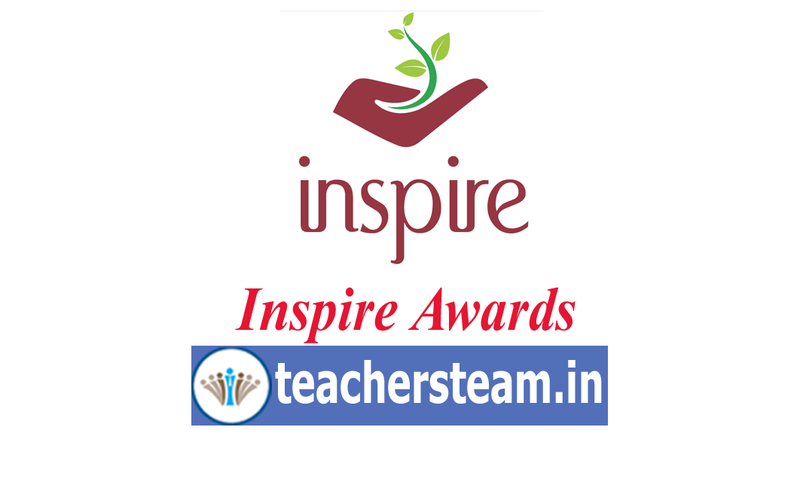 Under the INSPIRE Award Scheme, large number of nominations, running into lakhs, have to be processed for selection of the students for INSPIRE Award. DST plans to e-manage the entire INSPIRE Award Scheme by using State-of-Art latest Information Technology which would enable e-filing of nominations by the schools across the country, its processing by the District and State authorities as well as DST in accordance with the norms of the scheme, transmission of data of selected students to the banks, credit of Award amount to the bank accounts of selected Awardees (wherever notified) or preparation of INSPIRE Award Warrants by the bank and their dispatch to the selected Awardees and all such related activities concerning implementation of the scheme, management of the data, generation of various MIS returns etc.